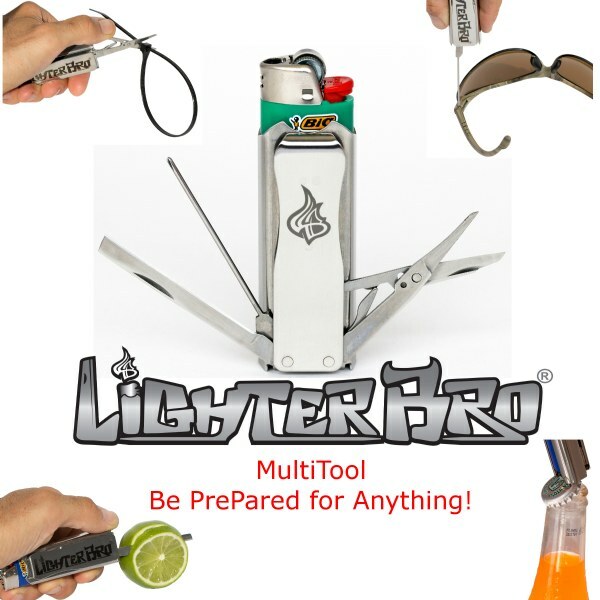 LighterBro multi-tool&apos;s functional yet elegant design is merged in manufacturing with only the highest quality Japanese 420 stainless steel and industrial processes available, so Lighter Bro can deliver a product of exceptional quality, durability and style. With proper care and use, your LighterBro will outlast many a disposable Bic® lighter it holds and bring you years of convenience and great times. Works with Clipper® and Bic® Lighters. I LIKE them very much and they work great. I bought several and gave them as gifts.